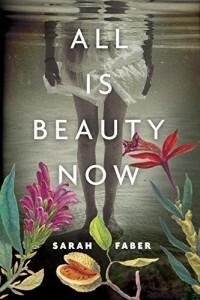 Set against the seductive world of 1960s Rio de Janeiro, this is an exquisite debut novel about family secrets, divided loyalties, and the lengths we'll go to save ourselves and those we love. Memphis, 1939. Twelve-year-old Rill Foss and her four younger siblings live a magical life aboard their family's Mississippi River shantyboat. But when their father must rush their mother to the hospital one stormy night, Rill is left in charge-until strangers arrive in force. Wrenched from all that is familiar and thrown into a Tennessee Children's Home Society orphanage, the Foss children are assured that they will soon be returned to their parents-but they quickly realize the dark truth. At the mercy of the facility's cruel director, Rill fights to keep her sisters and brother together in a world of danger and uncertainty. 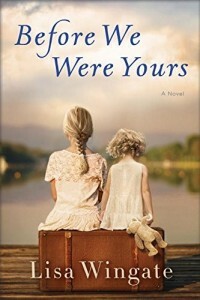 Based on one of America's most notorious real-life scandals-in which Georgia Tann, director of a Memphis-based adoption organization, kidnapped and sold poor children to wealthy families all over the country-Lisa Wingate's riveting, wrenching, and ultimately uplifting tale reminds us how, even though the paths we take can lead to many places, the heart never forgets where we belong. Jane Rizzoli and Maura Isles-the inspiration for the smash hit TNT series-continue their bestselling crime-solving streak, as they pursue a shadowy psychopath keeping secrets and taking lives. Two separate homicides, at different locations, with unrelated victims, have more in common than just being investigated by Boston PD detective Jane Rizzoli and medical examiner Maura Isles. In both cases, the bodies bear startling wounds-yet the actual cause of death is unknown. It's a doubly challenging case for the cop and the coroner to be taking on, at an inconvenient time for both of them. As Jane struggles to save her mother from the crumbling marriage that threatens to bury her, Maura grapples with the imminent death of her own mother-infamous serial killer Amalthea Lank. While Jane tends to her mother, there's nothing Maura can do for Amalthea, except endure one final battle of wills with the woman whose shadow has haunted her all her life. Though succumbing to cancer, Amalthea hasn't lost her taste for manipulating her estranged daughter-by dangling a cryptic clue about the two bizarre murders Maura and Jane are desperately trying to solve. But whatever the dying convict knows is only a piece of the puzzle. Soon the investigation leads to a secretive young woman who survived a shocking abuse scandal; an independent horror film that may be rooted in reality; and a slew of martyred saints who died cruel and unusual deaths. 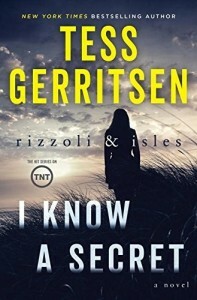 And just when Rizzoli and Isles think they've cornered a devilish predator, the long-buried past rears its head-and threatens to engulf more innocent lives, including their own. 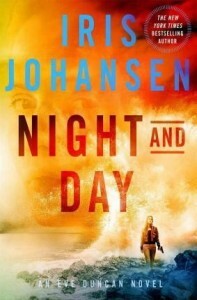 Full of danger, intrigue and heart, Iris Johansen's Night and Day is a breathtaking, high-energy adventure that's sure to keep readers riveted from the first page to the last.